A simple line attempts to woo his true love, a dot, away from the unkempt squiggle she prefers. But he'll have to learn to bend before she'll notice him. Happy 100th Birthday, Chuck Jones! The short-tempered Daffy Duck must improvise madly as the backgrounds, his costumes, the soundtrack, even his physical form, shifts and changes at the whim of the animator. Space hero Daffy battles Marvin the Martian for control of Planet X.
Elmer Fudd is again hunting rabbits - only this time it's an opera. Wagner's Siegfried with Elmer as the titular hero and Bugs as Brunnhilde. They sing, they dance, they eat the scenery. Jerry is determined to disrupt Tom's concert while Tom fights him with the piano without missing a single note. Court jester Bugs races against the Black Knight (Yosemite Sam) and his sneezing dragon in pursuit of the Singing Sword. Pepe Le Peu chases a female cat in a perfume shop until she turns the tables on him. The legendary sailors Popeye and Sindbad do battle to see which one is the greatest. A sneaker-wearing, hairy monster chases Bugs through a castle belonging to an evil scientist. Narrator: Once upon a time there was a sensible, straight line, who was hopelessly in love, with a dot. 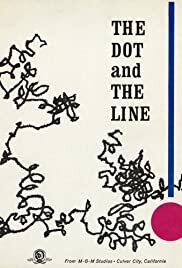 When I first read the book version of the Dot and the Line, I had to supply the voice and "music" in my imagination, but I thought the book was wonderful. Just a few lines on a page and some words, but it really was romance. The justification for the characters' behavior was so real! I felt for the Line from the very beginning, and hated his rival. My feelings for the Dot were mixed. I just kept wishing she would come to her senses and see the Line for the great guy that he really was! When I was able to view the animated version a few years later, I was happy to see that my own interpretation was pretty much spot-on. 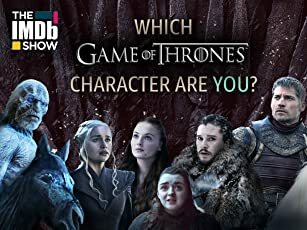 I did enjoy the music, and I enjoyed seeing my characters come to "life" as it were. The movie was a faithful rendering of the book, which to me is still a classic! I lent my copy to a friend over ten years ago, and have not gotten it back yet...it is still making the rounds and I hope, making many other people smile.